There has been a significant amount of talk signaling the death knell for brick-and-mortar stores, as a result of the rise in e-commerce and a change in consumers’ shopping habits. Furthermore, the presence of the Amazon giant is ever-looming over the battered industry. As per a report by Credit Suisse earlier this year, 8,600 brick-and-mortar stores will be forced to shut their businesses in 2017. However, while retail store visits have fallen considerably in recent years, it is imperative for such companies to leverage their store presence as a driver for customer acquisition in the digital space. 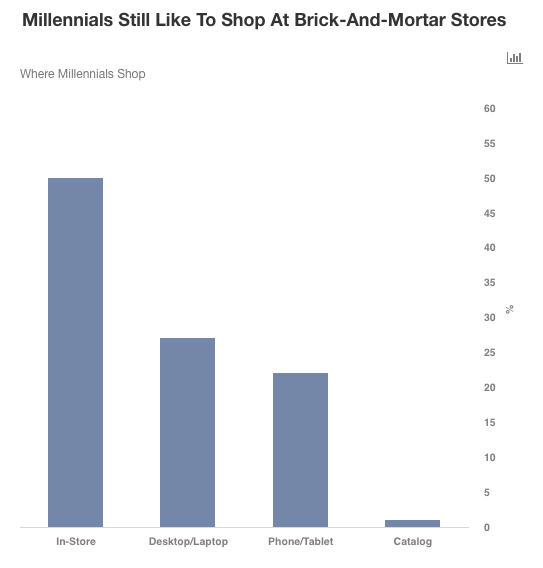 Moreover, research by behavioral marketing platform SmarterHQ has found that 50% of millennials actually prefer to go to a physical store as their primary means of shopping. Hence, the existence of a seamless omnichannel presence is imperative for retailers to function. Below we’ll highlight the two main problems apparel retailers face currently. Needless to say, the growth in online shopping has negatively impacted the traffic to malls. Currently, there are about 1,200 malls in the US, which are predicted to fall to about 900 in a decade. One of the main reasons for this is that between 1970 and 2015, the number of malls in the country grew at twice the rate of the population, according to research by Cowen and Company. 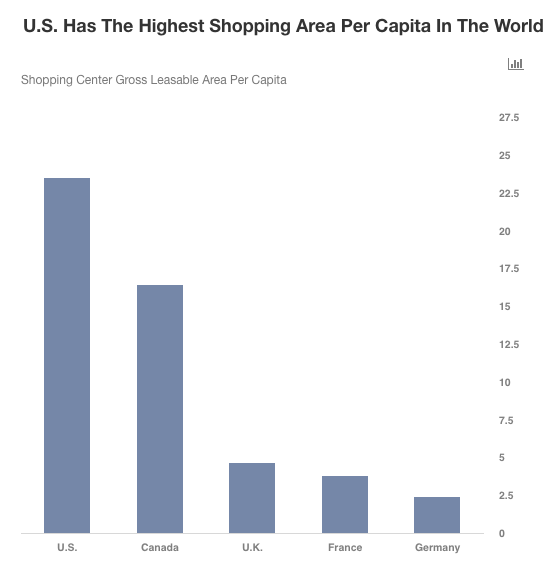 Moreover, the US also has one of the highest shopping space per capita in the world — 40% higher than Canada, five times more than the UK, and 10 times that of Germany’s. Hence, the decline in traffic should not come as much of a surprise. To overcome this, apparel retailers should concentrate on building an omnichannel presence, with features such as Buy Online and Pick Up in Store. Furthermore, these companies will also need to renegotiate leases and optimize their store footprint, by closing underperforming stores. A fall-out from the focus on the digital segment is the margin erosion, due to the increased expenses related to delivery and marketing, and significantly higher investments in technology. While these additional expenditures are needed to drive sales growth and improve a company’s market share, they have resulted in increased pressure on the margins. As a company grows its business, the margins will tend to improve. However, how long that takes is anyone’s guess. In the meantime, retailers need to undertake other cost-saving measures to reduce additional margin pressure. One such step would be to reduce the markdowns, as sales of full-price items would obviously have higher margins. A highly promotional environment has plagued many apparel retailers, making customers accustomed to discounted merchandise. With a steadier economy at present, many retailers are trying to push back from their discount-driven past. However, it may not be as easy, since the shoppers seem to be hooked on to the deals. Furthermore, the holiday period, anyway, tends to be more promotional. Another initiative would be to improve the speed to market. To see the success of this strategy the company just has to look at fast-fashion brands such as H&M, Zara, and Uniqlo. These retailers are able to move styles from the runway to the stores within weeks, constantly evolving their assortment and keeping their products fresh. Historically, retailers placed their bets on fashion a year in advance, and since they marked their products higher, there was room for markdowns. However, now companies have realized that by cutting the time down to three to six months, they don’t need to price the items higher. Analysis conducted by John Thorbeck, chairman of Change Capital LLC, and Professor Warren H. Hausman of Stanford University shows that retailers can increase their profits by as much as 28% and market capitalization by up to 43% if they are able to reduce their lead times and respond faster to changing consumer demand. In the long term, American retailers will be unable to compete with fast-fashion retailers if they don’t address this issue. 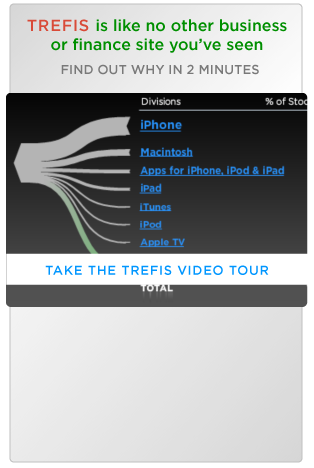 The charts in this article have been made using our new, interactive platform.